Elvis Costello announced a new set of dates for a North American solo tour. Don't miss Elvis Costello at the Michigan Theater in Ann Arbor on June 13th (it's a Friday the 13th, but don't let that stop you). The pre-sale begins Thursday, March 27th at 10am and the general onsale starts Friday, March 28th. 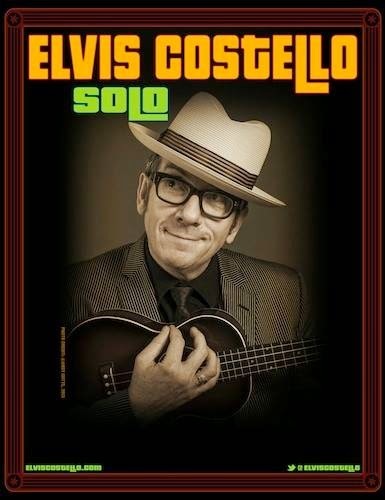 For more details about the tour, visit Elvis Costello's official site.